Our team has been hard at work this year expanding and improving the Aviator brand. One of Aviator Sports most exciting moments of 2017 was partnering with Xaverian High School for the renovation of both outdoor turf fields. Along with the turf fields are new fencing and repairs, new scoreboard signage, and Xaverian’s logo designed on one of the fields. 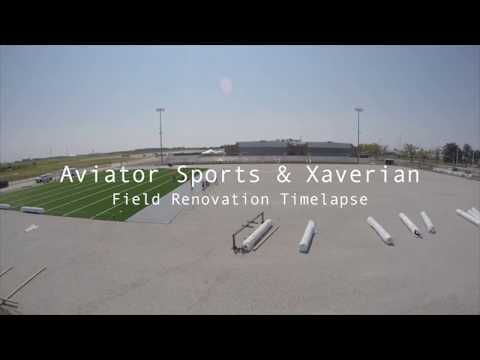 Enjoy our quick time-lapse video of the turf being laid on Xaverian’s field.